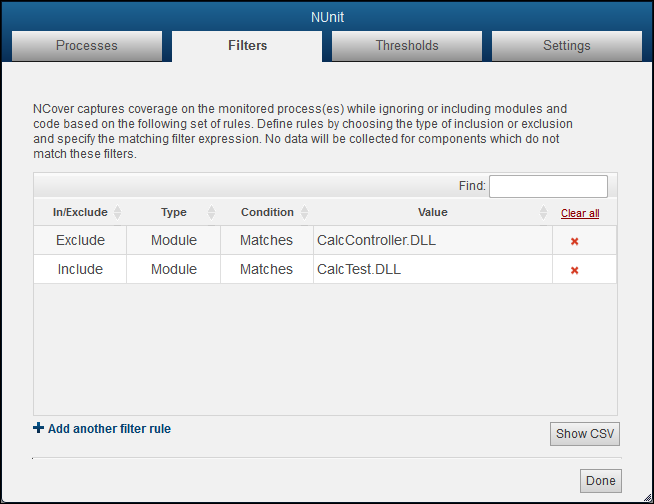 Note: A module that has been filtered out by name will not display in coverage results. However, if a module is outside of an included namespace, for example, it displays like a module that is loaded, but has no coverage. Originally, those "blank" modules were simply not displayed, but this functionality was changed so that users don't experience "disappearing modules", unless they exclude them specifically.